No garden tour would be complete without a detour to Monet’s magnificent garden. I was mesmerized by some of the design elements and techniques used in the garden. 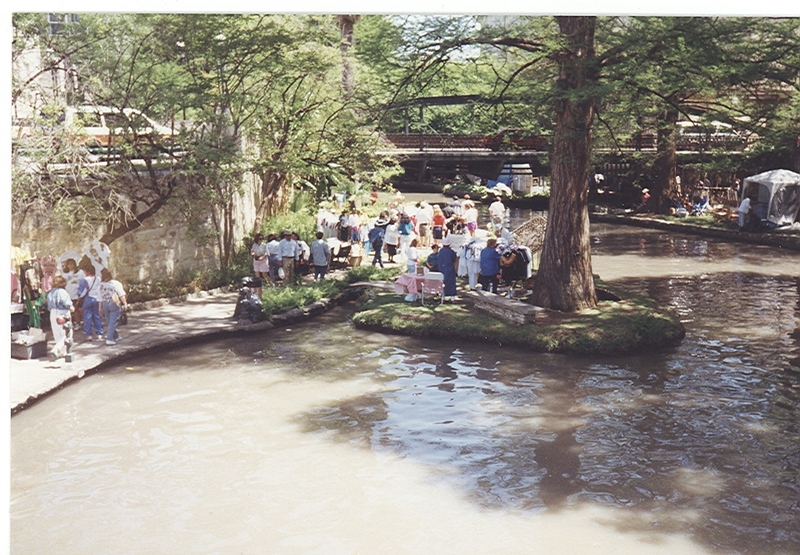 Every garden should have a water element — and a stroll (and lunch) along San Antonio, Texas’s, ribbon of water was perfect for this warm afternoon. 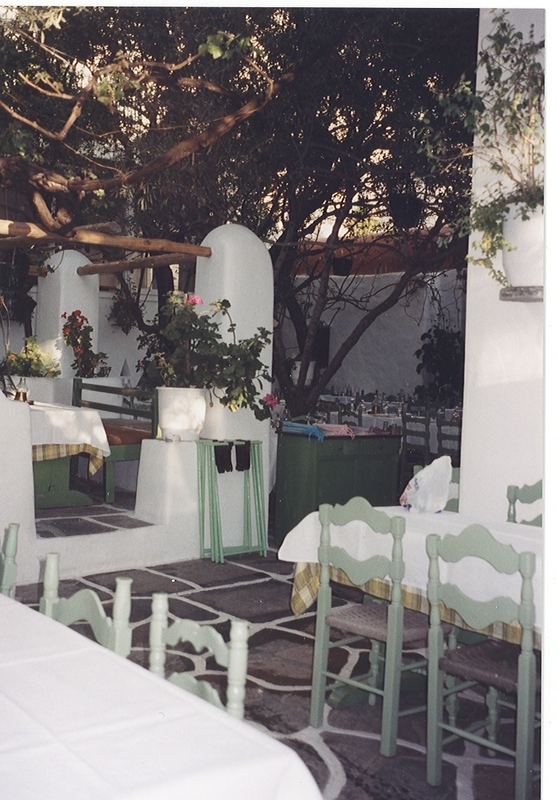 on Mykonos was an ideal location for an early dinner. a pruning style I had not really seen on Long Island. This is a street in Cannes. amazing to think of the hands that created them, carried them, and were buried with them. 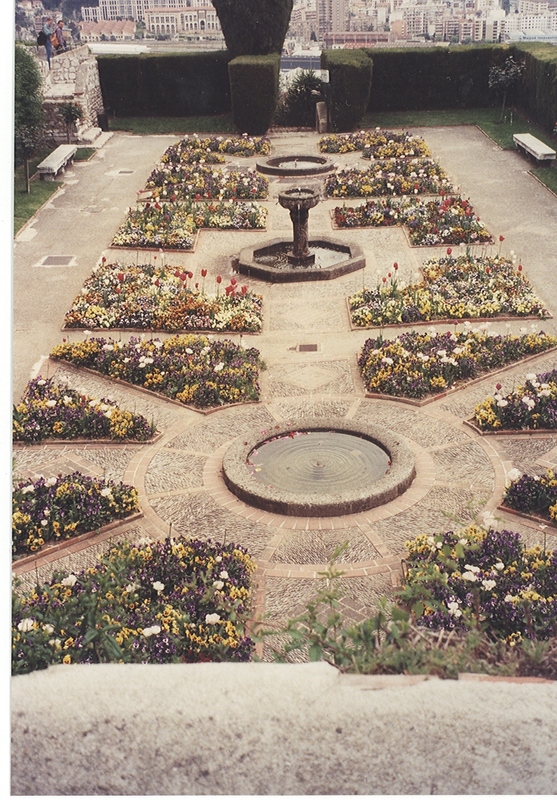 I always find myself drawn to the structure of formal gardens. This one was found on the grounds of a monastery overlooking Nice. 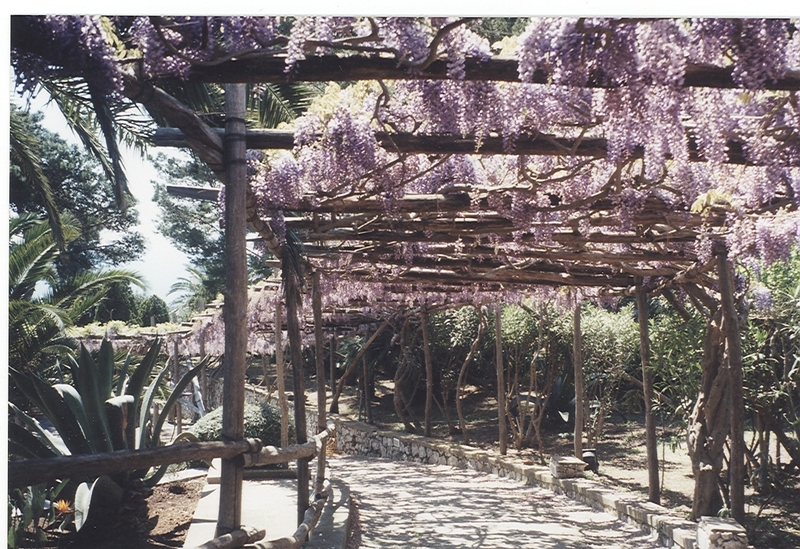 While strolling around Capri, we made a few turns and were surprised to find this arbor covered in wisteria. I like the inviting mystery of what could be at the end of the path. 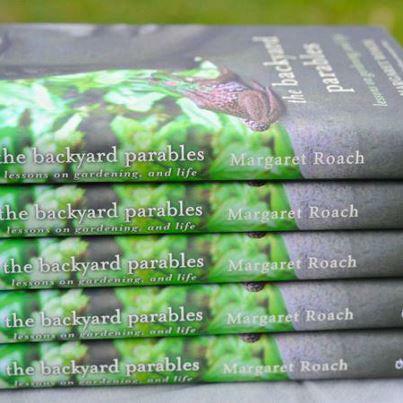 It’s almost time for Margaret Roach Week! This Sunday is the kick-off. My mom’s side is from Aquaro Calabria and Ancona Marche. But I was born here in USA. Never been to Italy; however, it’s on my list. We could be related! Actually, I’m a bit of a mutt: Sicilian, French, German, Scottish, English, Irish . . . My maternal great grandfather arrived through Ellis Island. My father’s side of the family arrived hundreds of years ago, in 1675. With lineage like that, I should probably be living in Hyannis Port, next to the Kennedy enclave. 🙂 Oh, well. I’m pretty happy right where I am. Love these photos! It’s wonderful to see such vibrancy when my own outdoors is a mat of thick snow and slush. I shared your sentiments about the pollarded trees when I first visited France. 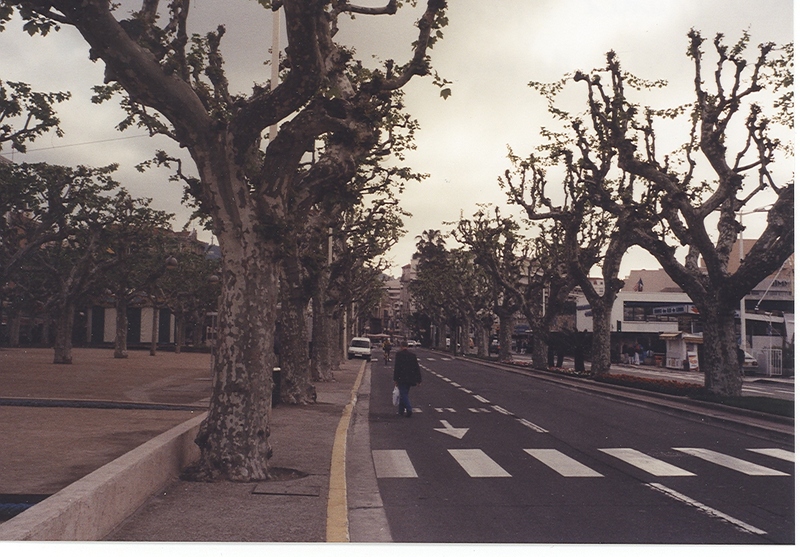 It was early spring and they had not yet begun putting out new shoots, so they looked almost sinister along the streets of Millau. Yes, same here! One of our neighbors have a pollarded tree and it looks just beautiful in the summer and spring. Thank you, I am staying warm! In keeping with the times we are having a very mild winter, by and large. Hi Sandi. It’s very sad to see the economic turmoil in Greece. It is one of the most beautiful places on the planet — and there is so much there to see and appreciate, including a meal in a shaded courtyard. Stay tuned for more photos after Margaret Roach Week. I enjoyed taking this walk down memory lane with you. I still enjoy sitting down with old photo albums and leafing through them to savor the memories (somehow a thumb drive full of digital images just isn’t the same). 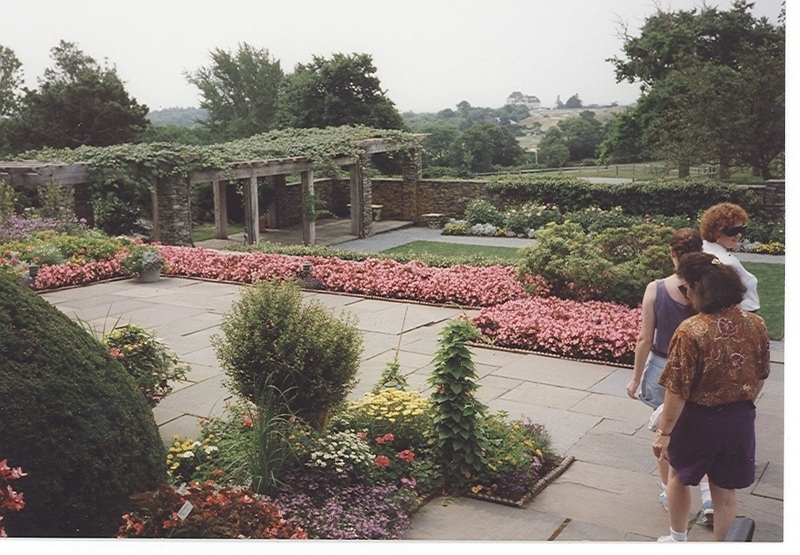 The photo of Newport made me realize that I spent my college years among the mansions of Newport but never paid any attention to gardens — oh callow youth! LOL. 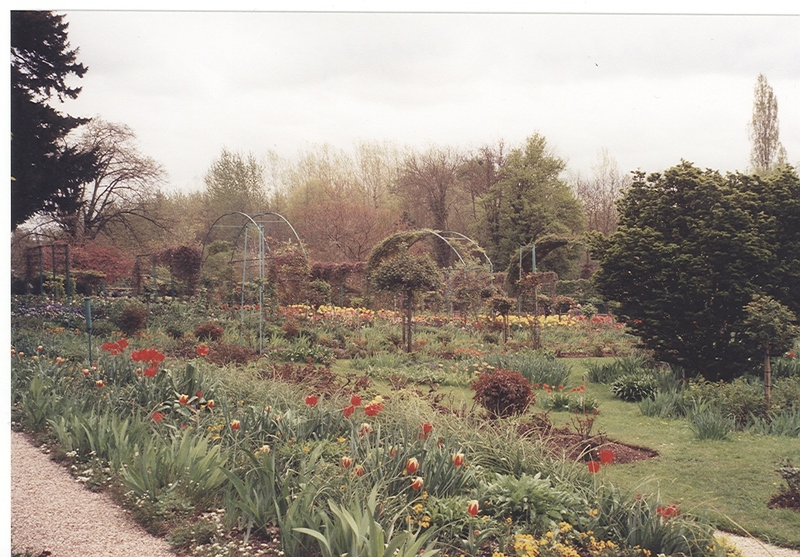 I wonder how many gardens I missed in my younger years — but it is nice to look at what was captured on film. And I do agree with you about the difference in looking at digital photos versus touchable paper photos. Always great to hear from you, Jean. 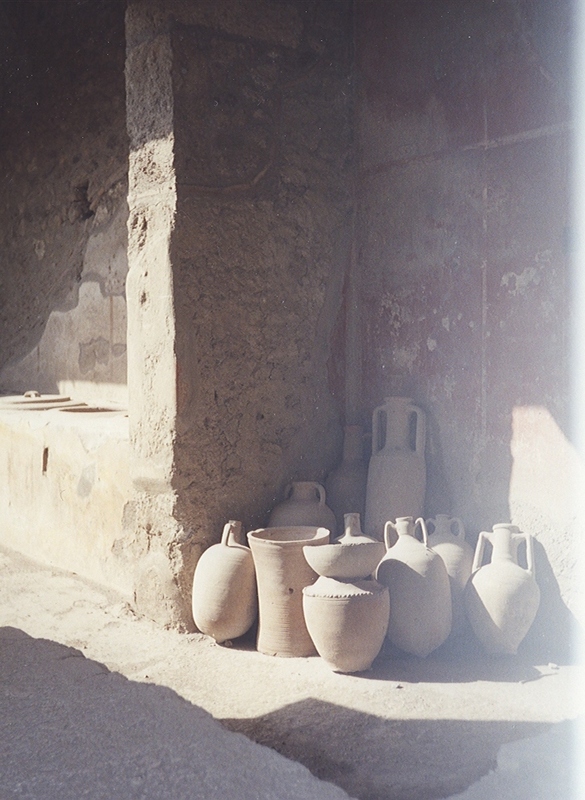 these lovely pictures beg for a photoshop facelift!..i love your pots and I could bring thm back to life!! Thanks for letting us share these memories with you, I also treasure my thousands of paper photos from when I used film, and my negatives are among my most valuable items. I guess being European I am so used to seeing pollarded trees that it didn’t really cross my mind that you maybe didn’t do that all over America too? I have a huge London Plane tree right outside my house which is pruned that way every other year by the council, it is lovely when the branches grows out the year it has been pruned, the second year I just can’t wait for it to be pruned again. Hello Helene. Pollarded trees are rare here, but I wonder if the tree were trimmed this way if it would mean less damage during storms. I loved seeing these trees throughout Europe. Our London Plane trees are huge, with branches stretching over the streets. Hold onto those negatives — they’re priceless! I love this post! Travel + gardening are two of life’s greatest things. 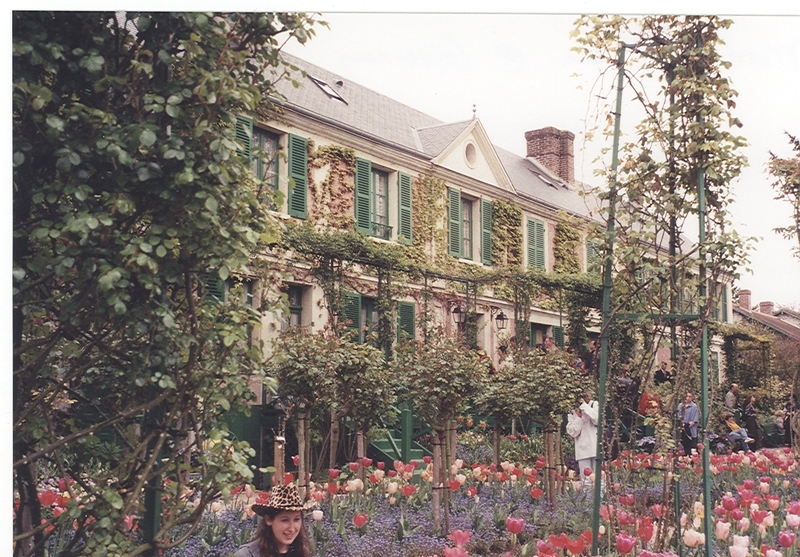 It’s always been a dream of mine to visit Monet’s garden. Hi Val. Well, if you need a destination, then Monet’s garden is a great one. It’s like stepping into a painting. Alesia!! There’s nothing like opening up an old photo album and reliving moments — and if that album has old photos of family, that’s priceless! Hi Gwennie. Glad you liked them. I guess in Italy and France they keep the trees pollarded to avoid old branches to fall in the street and maybe hit something or someone, in that case the town hall is supposed to pay for any damages. What an incredible stroll down memory lane! Thanks for taking us along! I remember well the good old days as I worked at a photo shop & we developed our own B&W film. Those pictures are some of my favorites. Most of mine never made it into photo albums, just into picture boxes. 🙂 When I look at that picture, it brings back so many memories. The pollarded trees are fascinating and I was intrigued by Helene’s comment that they still do this all the time in Europe. I wonder if that’s to keep breakage from happening. An interesting idea since we often lose power in storms here due to trees losing limbs. Hi Marguerite. I wondered the same thing. In my area, the power company will swarm into a neighborhood for its version of pollarding — usually hacking out all branches that surround a power line. The end result is a massive tree with its center removed. Not only is it ugly, I think it damages the tree and makes it even more unsteady in stormy weather. Pollarding seems like a better technique. What gorgeous photos. Planning any exciting trips for this year? Hmmmmm. That could be a whole new post. As far as I know, some more trips to south Florida — nothing out of the country.